October's just the right time to have all sorts of spooky and scary stuff come out for the hobby games we love. Steve Jackson Games certainly feels that way. 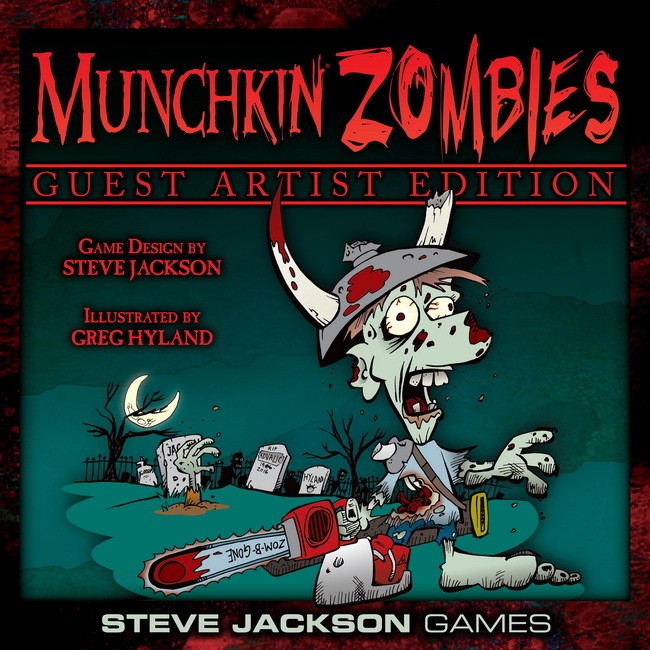 As such, they're going to have the Guest Artist Edition of Munchkin Zombies available that month. The guest doing this version is Greg Hyland (whom you might remember as the original artist for Munchkin Fu). Will you be able to grab enough gear in order to beat back the zombie hordes? Remember to aim for the head and pre-order your copy now.